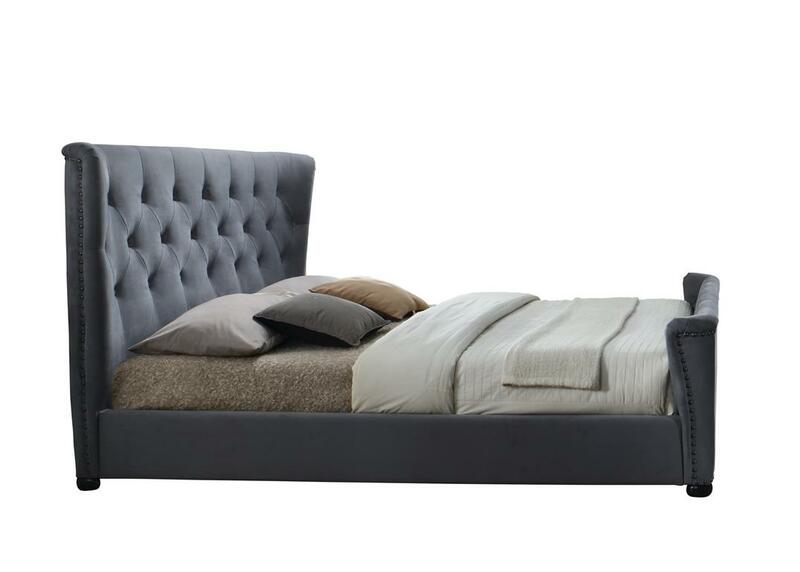 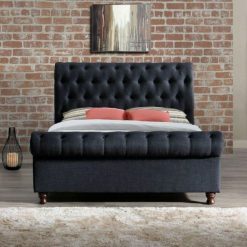 This sophisticated sleigh bed frame features a grand winged headboard with buttoned detailing. 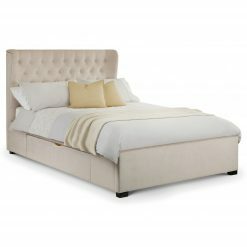 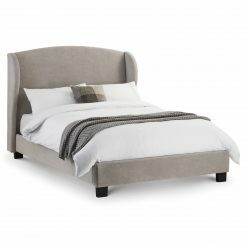 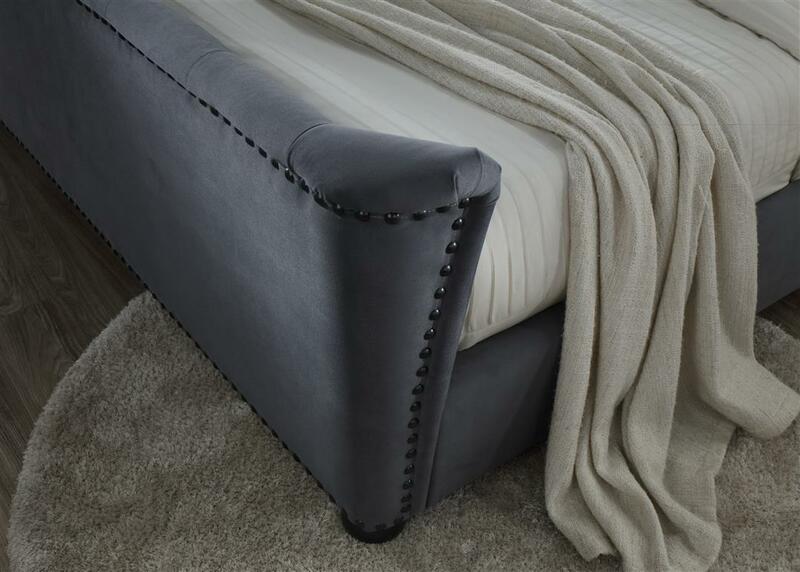 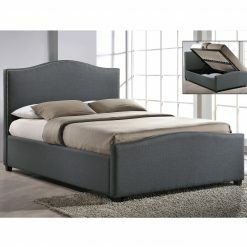 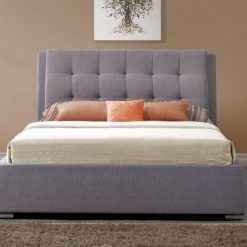 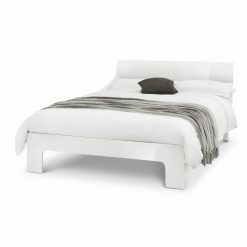 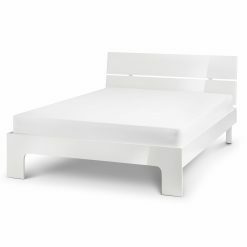 The matching foot-end is complemented by metal studs all around the frame which really gives this bed an exquisite look. 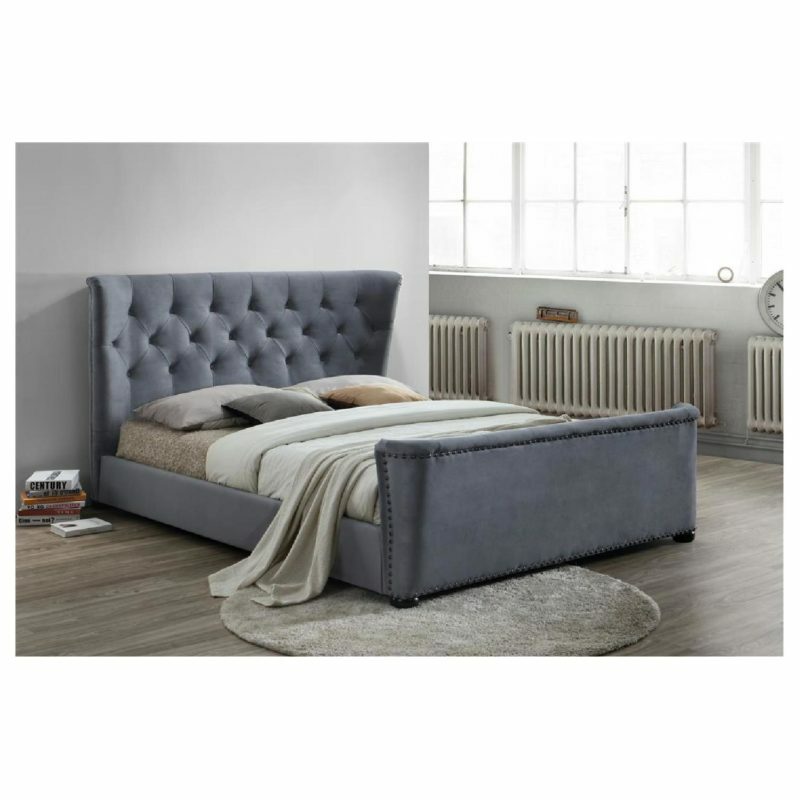 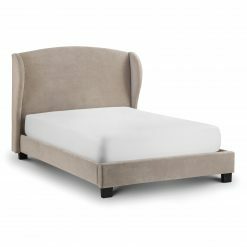 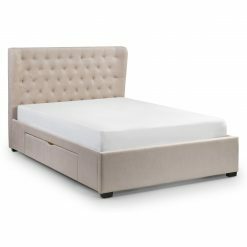 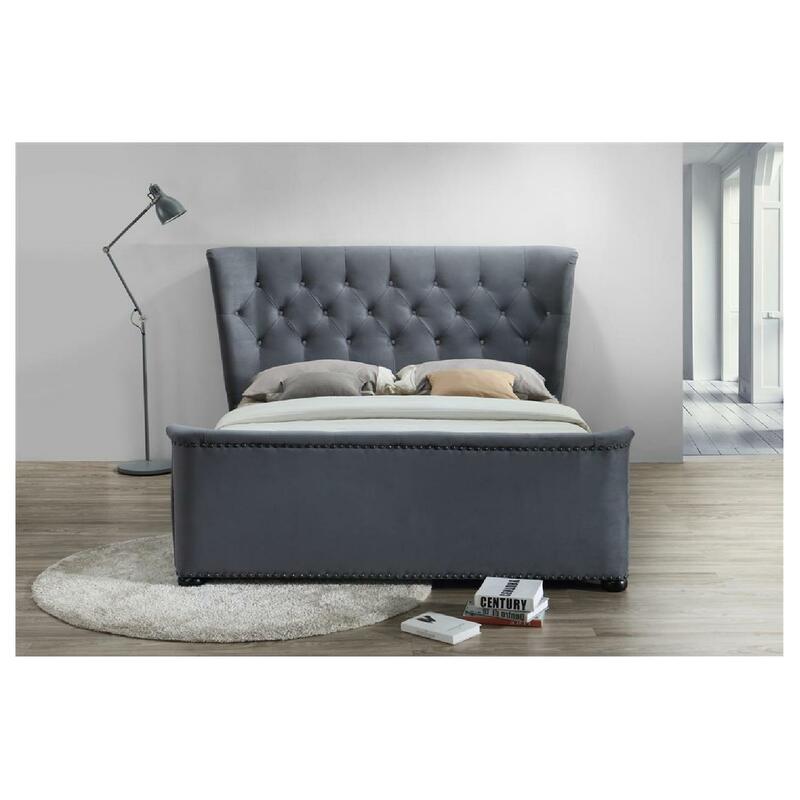 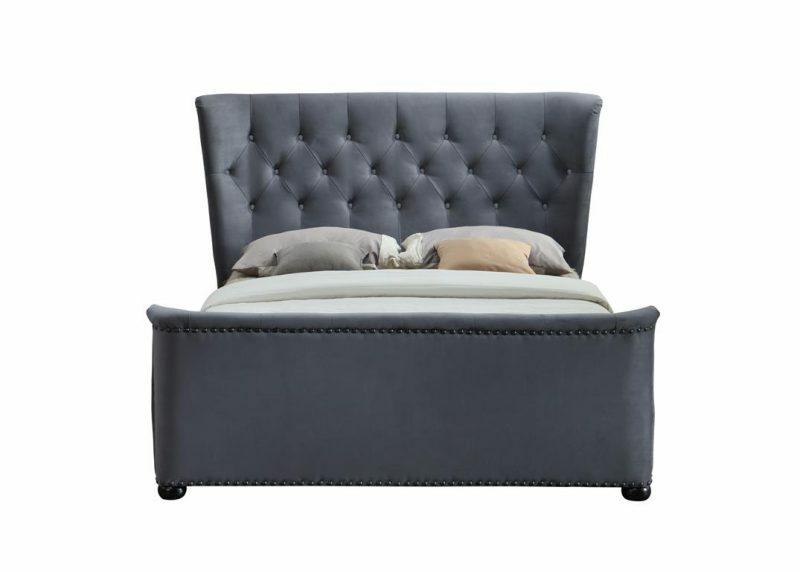 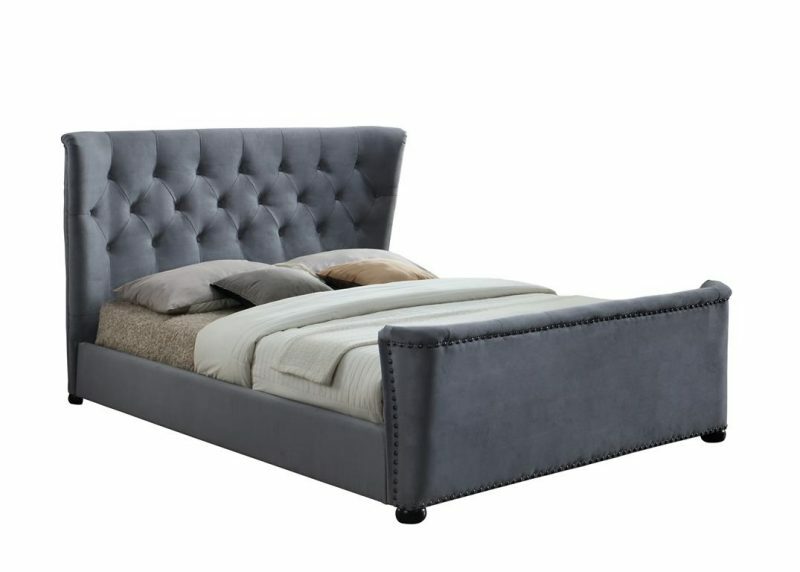 Upholstered in grey velvet this bed frame has a sprung slatted base to provide natural bounce, adjusting to where pressure is most exerted for greater comfort.